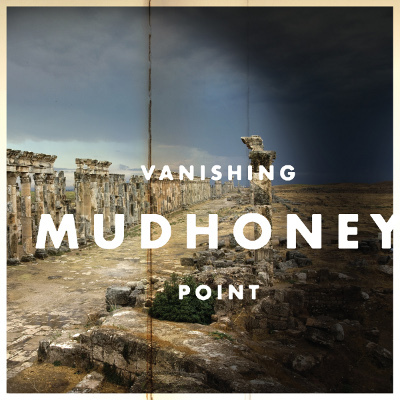 It goes without saying Mudhoney are no longer young, sprightly beings, and indeed all which seems to draw them from their shells these days is a good anniversary. The grunge pioneers are in the midst of their biggest gap yet between studio albums, having kept quiet since 2008's The Lucky Ones; a record essentially released to celebrate the 20th anniversary of their equally legendary label Sub Pop. 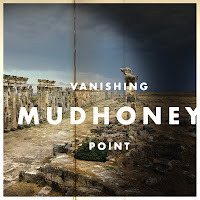 Now, with the quarter-century mark creeping conveniently into view, the quartet are finally readying themselves to unveil a follow-up, with ninth outing Vanishing Point due to drop in early April. The publicity is certainly a bonus, but even so you get the impression it's more than a cunning marketing ploy. 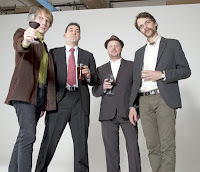 This after all, is a band and label who share an exceptional connection, whether it be through jointly defining the Seattle sound of the late '80s, or fact that frontman Mark Arm now carries the dual responsibility of running their warehouse. It's a partnership which can only be lauded, and although Mudhoney's terrific live shows are now their main draw, there remains a level of excitement each time the pair reconvene and emerge with a new batch of material. Fans will certainly be hoping this latest return betters its rather underwhelming predecessor, and while that's asking a lot of a group celebrating its own 25th anniversary, there's little doubt its fuzzed-up fruits will excel once aired in their latest run of US and European tour dates. Vanishing Point is released on 1 April in the UK and Europe, and April 2 in North America.